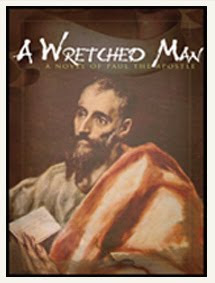 A Wretched Man by R W Holmen is a stupendous novel about Paul, The Apostle. Most of us are aware of Paul's Damascus Road change, his beatings, his letters to the churches and his friendships before and after conversion. My question became do I need to read a fictionalized picture of his life. My answer became yes rather quickly after I started reading the book. Without reading this book about Paul, The Apostle I had an idea of a man. In other words, I had an unfinished painting. R W Holmen paints a background for the painting I held in my mind. The book is beautifully written full of descriptions of the Holy Land's landscape and Agriculture. "He longed for....his parent's rooftop, the smell of fresh goat leather....the taste of ....fresh bread dipped in honey, the feel of goat's milk warming his throat, and the splashing melody of the river rapids." "A frog can flap its little legs and never fly." 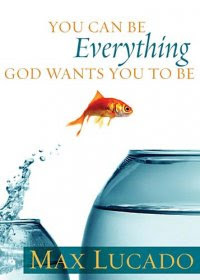 While reading YOU CAN BE Everything GOD WANTS YOU TO BE BY MAX LUCADO, I read the above quote. I chuckled. Then, I reread the quote. I recognized the fact that at times I have acted like a frog trying to fly. When I was young, I behaved this way many times. Unfortunately, I did not own a wonderful book like the one Max Lucado has written for young people. It would have helped put my jigsaw puzzle self together. This is a very practical, God centered book.